P and L’s relationship is more than just Sun sign compatibility of Capricorn and Cancer. No individual is a pure Capricorn or Cancer but instead is a unique combination of signs and planets. The following interpretation defines the synastry or interplanetary aspects between the planets in L’s birth chart and the planets in P’s birth chart. There is no evil planet in the combinations. No single combination can make or break the relationship. The list goes from the most harmonious (positive) to the most discordant (negative). P’s Mercury Trines L’s Jupiter (+13.41 harmony) – P’s mentality and powers of perception combine very effortlessly with L’s sense of growth, expansion, or generosity. Wit and humor are abundant in the relationship. Exchange of ideas is enthusiastic and friendly. P’s thoughts are in harmony with L’s dreams. L’s faith deepens P’s intellectual self-confidence. L sympathizes with P’s desire for mental advancement. P respects the moral, spiritual, and intellectual abilities of L.
L’s Sun Trines P’s Pluto (+11.96 harmony) – L’s sense of identity, ego, will, and character combine very effortlessly with P’s sense of transformation, change, or power and destiny. L can bring out the psychoanalyst in P. There is harmony in the relationship that helps each other grow as individuals. It stimulates enterprise and ambition in both P and L. There is mutual interest in magical and occult knowledge. The positive effect of this influence can lead L and P to a long-term relationship. P’s Sun Trines L’s Uranus (+11.83 harmony) – P’s sense of identity, ego, will, and character combine very effortlessly with L’s sense of independence, freedom, and originality. L’s unusual nature blends harmoniously well with P’s highly creative life. The relationship stimulates each other’s innovation and exchange of progressive ideas. There is a smooth flow of encouragement and individualism between P and L.
L’s Mercury Sextiles P’s Jupiter (+9.11 harmony) – L’s mentality and powers of perception combine pleasantly with P’s sense of growth, expansion, or generosity. Wit and humor are abundant in the relationship. Exchange of ideas is enthusiastic and friendly. L’s ideas stimulate P’s dreams. P’s faith deepens L’s intellectual self-confidence. P sympathizes with L’s desire for mental advancement. L respects the moral, spiritual, and intellectual abilities of P.
P’s Neptune Trines L’s Pluto (+7.70 harmony) – P’s mystical or spiritual inclination combines very effortlessly with L’s sense of transformation, change, or power and destiny. There is a holy union between P and L. The spiritual urge of P harmonizes with the reforming call of L. Both will support and encourage each other’s causes. L’s Uranus Trines P’s Neptune (+7.37 harmony) – L’s respect for expression of individuality combines very effortlessly with P’s mystical, spiritual inclinations. Both surprise each other at how crazy and beautiful things can get. P and L have a strong intuitive connection. P’s Sun Trines L’s Pluto (+6.89 harmony) – P’s sense of identity, ego, will, and character combine very effortlessly with L’s sense of transformation, change, or power and destiny. P can bring out the psychoanalyst in L. There is harmony in the relationship that helps each other grow as individuals. It stimulates enterprise and ambition in both L and P. There is mutual interest in magical and occult knowledge. The positive effect of this influence can lead P and L to a long-term relationship. L’s Pluto Sextiles P’s Pluto (+3.63 harmony) – The individual sense of transformation, change, or power and destiny combine pleasantly within the couple. P came from a different generation with different cultural references than L. Both enjoy reminiscing about the past, on how each individual grew up. P’s Saturn Trines L’s Uranus (+3.01 harmony) – P’s sense of commitment, necessity, or duty combines very effortlessly with L’s sense of independence, freedom, and originality. P’s practicality and groundedness are in harmony with L’s genius and inspirations. The relationship unites new ideas of L with the experience and caution of P toward a constructive goal. L is spontaneous and creative while P is sensible and levelheaded. P’s Sun Sextiles L’s Saturn (+2.84 harmony) – P’s sense of identity, ego, will, and character combine pleasantly with L’s sense of commitment, necessity, or duty. P and L can stimulate each other to work towards their common goals. There is a sense of practicality in the relationship. P and L can agree on how to handle their problems. Both know how to allocate duties and responsibilities. L’s Venus Sextiles P’s Mars (+2.59 harmony) – L’s sense of sexuality, attraction, or intimacy combines pleasantly with P’s sexual drive, temper, and powers of self-assertion. P’s desire stimulates L’s loving nature. Both are strongly attracted to each other. This aspect is favorable in marriage and offers a sexually satisfying relationship. P’s Mercury Trines L’s Pluto (+2.04 harmony) – P’s mentality and powers of perception combine very effortlessly with L’s sense of transformation, change, or power and destiny. There is harmony in how each other influence the other’s mind. There are depth and wisdom in the relationship. L encourages P to think more deeply. When both P and L combine their minds, they can build their exciting ideas into a giant success. L’s Jupiter Conjuncts P’s Jupiter (+2.01 harmony) – The individual sense of growth, expansion, or generosity combines with ease within the couple. L and P’s ideals and beliefs are aligned. Both appreciate each other’s good qualities. Learning and education are essential in the relationship. The relationship encourages optimism, self-confidence, and humor. L’s Neptune Sextiles P’s Neptune (+1.62 harmony) – The individual sense of spirituality, imagination, or mysticism combines pleasantly with the couple. The relationship stimulates a beautiful romance between L and P. Both share similar ideas, and each one knows what the other one is thinking. P and L appreciate each other’s company. There is a feeling of love and unity in the relationship. L’s Saturn Sextiles P’s Uranus (+1.44 harmony) – L’s sense of commitment, necessity, or duty combines pleasantly with P’s sense of independence, freedom, and originality. The relationship stimulates progress in both L and P. Both can endure a lot of stress when working together. P is spontaneous and creative while L is sensible and rational. L’s Sun Sextiles P’s Moon (+1.32 harmony) – L’s sense of identity, ego, will, and character combine pleasantly with P’s emotional needs. There is a natural stimulation and flowing compatibility between L and P. Reconciliation after a disagreement is ordinary. This is an ideal aspect to have in a romantic relationship. L’s Jupiter Trines P’s Neptune (+1.20 harmony) – L’s sense of growth, expansion, or generosity combines very effortlessly with P’s sense of spirituality, imagination, or mystical inclination. L’s expansive dreams are in harmony with P’s intuitions. Both are spiritually compatible. The relationship encourages idealism and charitable instincts in each other. P’s Mercury Sextiles L’s Neptune (+1.13 harmony) – P’s mentality and powers of perception combine pleasantly with L’s sense of spirituality, imagination, or mystical inclination. L stimulates the imagination of P. P’s practical suggestions give form to L’s abstract ideas. Both can discover many interests through excellent communication. There seems to be a healthy mental and empathic connection between L and P. The relationship brings a feeling of great pleasure and satisfaction through the sharing of creative projects. L’s Saturn Sextiles P’s Neptune (+0.94 harmony) – L’s sense of commitment, necessity, or duty combines pleasantly with P’s sense of spirituality, imagination, or mystical inclination. The relationship stimulates each other to adopt new ways of thinking. L can stabilize P to be practical. P can inspire L to have a vision and be more imaginative. P’s Saturn Trines L’s Pluto (+0.55 harmony) – P’s sense of commitment, necessity, or duty combines very effortlessly with L’s sense of transformation, change, or power and destiny. P’s steady and patient practicality is in harmony with L’s quiet but immense power. Both P and L are good in planning together big projects and will make good use of each other’s experience. This aspect is good for a business partnership. P’s Moon Conjuncts L’s Pluto (neutral) – P’s emotional needs combine with L’s sense of transformation, change, or power and destiny. The fusion can be either very good or very bad depending on other aspects of the relationship. There is a powerful physical attraction between L and P. L expands the ideas, imagination, and viewpoints of P. Sometimes P will find L to be possessive, jealous, and domineering. P’s Moon Conjuncts L’s Uranus (neutral) – P’s emotional needs combine with L’s sense of independence, freedom, and originality. The fusion excites mutual interest and is intellectually stimulating. There’s a degree of spontaneous, unexpected, and magnetic attraction linking P and L. Boredom is never a problem in the relationship. Sometimes P’s traditional attitude clashes with L’s odd behavior. The union arouses romantic feelings that can be temporary unless other harmonious aspects support it. L’s Saturn Sextiles P’s Saturn (neutral) – The individual sense of commitment, necessity, or duty combines pleasantly with the couple. L and P can stimulate each other to work on a common goal together as a team. This is a good aspect for any type of relationship. Both are disciplined and want the same level of financial security. P’s Jupiter Squares L’s Saturn (-0.30 discord) – P’s sense of growth, expansion, or generosity interacts stressfully with L’s sense of commitment, necessity, or duty. There is friction in L’s view of responsibility and P’s dreams of expansion. L places too much responsibility on P. P feels confined and frustrated. L’s Venus Opposes P’s Venus (-1.28 discord) – The individual sense of sexuality, attraction, or intimacy confronts and challenges each other. Both have different romantic styles. There is tension in the different way each other expresses affection. Agreement on financial matters can be complicated. Both will occasionally challenge each other about morality, social life, or cultural sentiments. This can become a tense and uncomfortable relationship but with an active element of attraction. P’s Venus Squares L’s Uranus (-1.30 discord) – P’s sense of sexuality, attraction, or intimacy interacts stressfully with L’s sense of independence, freedom, and originality. Occasional disappointments in each other can cause friction and temporary separations. Both may be fickle toward each other and cannot depend on one another. The relationship has an erratic, unstable, but intoxicating quality. L’s Sun Opposes P’s Uranus (-2.12 discord) – L’s sense of identity, ego, will, and character confront and challenge P’s sense of independence, freedom, and originality. There is tension in the selfish nature of L and the independent nature of P. Both are out of touch with the need for space in the relationship. The bond that initially attracted P and L together becomes a confusing tug of war between togetherness and individuality. L’s Jupiter Opposes P’s Pluto (-2.74 discord) – L’s sense of growth, expansion, or generosity confronts and challenges P’s sense of transformation, change, or power and destiny. Personal struggles between L and P can’t be avoided. There will be conflicting ideas that can lead to misunderstanding or make cooperation difficult. P’s Moon Squares L’s Mars (-2.92 discord) – P’s emotional needs interact stressfully with L’s sexual drive, temper, and powers of self-assertion. There is friction when P becomes indecisive when reacting to L’s impulsiveness. The relationship can show signs of intense physical attraction and a negatively smothering emotional reaction. Nagging, abruptness, and even refusal to calmly talk things over will be a frequent irritation in the relationship. Serious personality conflicts can exist between P and L.
P’s Venus Squares L’s Pluto (-5.00 discord) – P’s sense of sexuality, attraction, or intimacy interacts stressfully with L’s sense of transformation, change, or power and destiny. There is an intense and sometimes uncomfortable sexual attraction in the relationship. There is friction in dealing with issues of jealousy, possessiveness, and volatile emotions. The association may breed anger and even hatred of one another. L’s Mercury Squares P’s Mars (-6.74 discord) – L’s mentality and powers of perception interact stressfully with P’s sexual drive, temper, and powers of self-assertion. There is friction in P’s aggressive attitude and L’s rational reasoning. Petty quarrels in the relationship will make getting along challenging to achieve. L’s sarcasm could easily provoke P’s temper. L’s Sun Opposes P’s Mercury (-7.38 discord) – L’s sense of identity, ego, will, and character confront and challenge P’s mentality and powers of perception. There is tension in the differing viewpoints and opinions of L and P. Communication between P and L is difficult. The mental energies of P are frequently opposed by the creative powers of L. This aspect is challenging in a long-term relationship like marriage. L’s Sun Opposes P’s Sun (-7.56 discord) – The individual sense of identity, ego, will, and character confront and challenge each other. The different temperaments of L and P can either cause tension or complement each other. Both can be attracted or repelled by the difference in perspective on life by the other. L’s Sun Squares P’s Mars (-9.97 discord) – L’s sense of identity, ego, will, and character interact stressfully with P’s sexual drive, temper, and powers of self-assertion. There is friction in the individual ambitions of L and P. Hostility and aggression are easily aroused in the relationship. A compromise between P and L is necessary for the union to work. P will have to work on patience while L will have to work on humility. P’s Venus Opposes L’s Mars (-9.99 discord) – P’s sense of sexuality, attraction, or intimacy confronts and challenges L’s sexual drive, temper, and powers of self-assertion. There is a strong sexual attraction between P and L in the early stage of the relationship. Too much stimulation causes tension and disputes. L feels suffocated by P’s possessiveness. P can be deeply hurt by L’s thoughtless words. L’s Sun Opposes P’s Neptune (-10.37 discord) – L’s sense of identity, ego, will, and character confront and challenge P’s sense of spirituality, imagination, or mystical inclination. The tense connection between P and L is fraught with possibilities of misunderstanding, doubt, confusion, distrust, deception, and sometimes infidelity. Trust is lacking in the relationship. P can be elusive, misleading, or even deceptive towards L.
P’s Moon Opposes L’s Saturn (-11.89 discord) – P’s emotional needs confront and challenge L’s sense of commitment, necessity, or duty. The tension can easily create misunderstanding between L’s practicality and P’s emotions. Both have opposite ways of handling everything from finance, lifestyle, and stress. P resents L’s constant discipline. L is frustrated by the moody disposition of P. L sees the conservative and safe side of any situation. P sees the intuitive and magical side. L’s Mercury Opposes P’s Mercury (-12.00 discord) – The individual mentality and powers of perception confront or challenge each other. Differences in points of view can cause tension and misunderstanding. Both have a different method of solving problems. Agreeing with each other can be difficult. L’s Sun Opposes P’s Saturn (-15.82 discord) – L’s sense of identity, ego, will, and character confront and challenge P’s sense of commitment, necessity, or duty. There is tension and almost electric resistance between L and P. This can quickly become a love-hate relationship. L may feel P being too restrictive, cautious, conservative, and limiting. P may feel L being overbearing, uncooperative, and even refusing guidance. 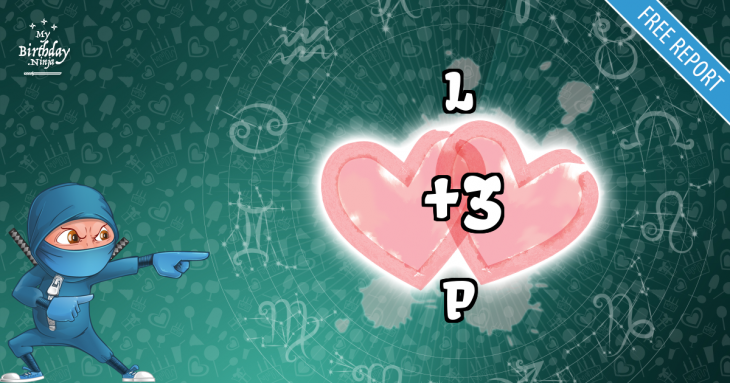 There are 5 mutual receptions in L and P’s planet combinations. Planets in mutual reception enhance each other. This will add +50 harmony to the total score. The remaining -34.60 discord is due to some minor aspects or planets in parallel.